Lead & Nickel Free!! 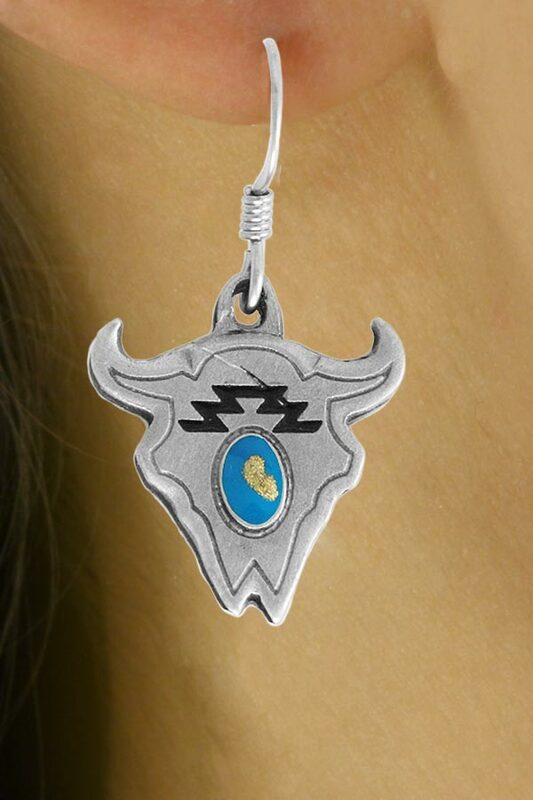 Pewter Finish Fishhook Wire Earrings Suspend Bison Skulls Accented With A Southwestern Design In Black And A Turquoise Colored Circle. 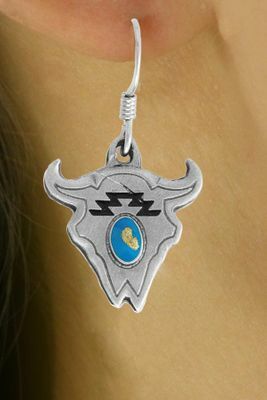 Earrings Measure 1 1/4" x 3/4".